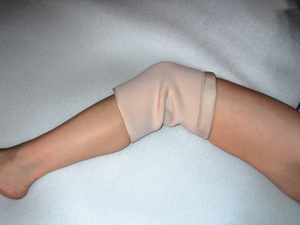 Four layers of soft, lightweight MicroSpring Textile™ form a loose-fitting tube that stays in place to protect fragile skin from pressure, friction and minor traumas that result in tears, bruising and minor abrasions. Unlike traditional fabric sleeves or stockings that are tight and binding, the layers of microfilaments allow air-flow and moisture transfer. Sizing - Based on Circumference.